We’re working on it currently with either a graph or a list similar to your suggestion. Regarding surplus money, I’m always going to want to push any extra dollars into the next available month’s payment. That won’t be solely my decision though. If we were to really need a patch or upgrade, we can handle that as needed. Excellent, Dave. I, for one, look forward to having the Knick Knack knockers properly reinflated. It seems to me that these cuts were made before the original premiere of “Dr. No”. Has the uncut version ever been shown in theatres, TV or home media anywhere? Thank you. Yes, that would be very interesting. For a while now, I’ve been working on restoring the original episode of “From All of Us to All of You”. This is a Christmas episode from the anthology series “Walt Disney Presents”. It originally aired on December 19th 1958, and was rerun on December 25th 1960. In 1973 (or 1977), the episode was re-edited. The biggest change was that “Toy Tinkers” was replaced with “Pluto’s Christmas Tree” and “Donald’s Snow Fight”, and the “surprise gift” was shortened. Elements from this episode was also used in “A Magical Disney Christmas” (1981), “A Disney Christmas Gift”, (1982 and 1983), “A Disney Channel Christmas” (1983) “Jiminy Cricket’s Christmas” (1986). Finally, a version called “The New From All of Us to All of You” is basically the same as “A Magical Disney Christmas”, but with the bridging sequences from the original episode. I’m not sure when "The New… " was first made. I’ve not seen any mention of it before 1990. I also don’t know if this was made especially for European (or even Scandinavian) channels, or if it was originally shown in the US, e.g. on Disney Channel. 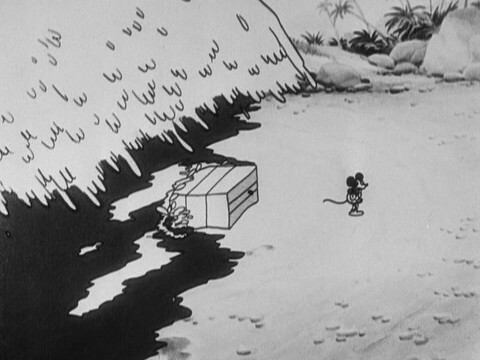 An edited version of the 1967 episode was shown as part of “The Wonderful World of Disney” in syndication. Anyway - The goal is to restore the original episode and the “original” reruns (1963-1980). I have a kinescope (in pretty poor condition) of the 1960 rerun, and copies of the 1970, 1973, 1977, 1979 and 1980 episodes in various qualities. I also have a copy of the syndicated version of the 1967 episode. This episode is very popular in Scandinavia, and it is shown every Christmas in Sweden, Norway, Denmark and Finland. All countries have made many edits to the episode over the years, and the episode is different in all countries. I’m using blu-ray and dvd for the movie clips and shorts (except Lady and the Tramp, which is the Academy ratio version, so I use an LD-rip). For the bridging sequences, I mostly use the latest Swedish and Danish broadcasts, but a few scenes are only available in older broadcasts. The kinescope is used where I haven’t been able to find any replacement clips. I have already finished a version the original program and the 1970 rerun. There’s still plenty of room for improvement, but let’s call them a v1.0 release for now. I particularly need to do some color correction on some of my replacement footage. I would also like to try to lift elements from low quality clips onto higher quality backgrounds. This looks like it will be very useful for a project I’m working on. I’ll play around with it this weekend. And, @RU.08, if you’re asking what I think you’re asking in your mail, I’ll happily contribute to the project. I didn’t think this place would ever go away, even if they officially released the Unaltered Original Trilogy. How about just having a private Facebook group? Unfortunately Facebook is utterly useless for this kind of forum. I’m also trying to collect old Norwegian dubs of Disney movies. For a long time, dubbing was very rare in Norway, so there aren’t that many Disney movies that has been redubbed, which helps keeping the “missing dubs” low. Original Dub 1971, Not available on home video, redubbed for 1994 theatrical re-release. First dub in 1983. Not available on home video. Redubbed in 1994 for VHS release. Two scenes were cut for the 1983 release, but the 1994 VHS is afaik uncut. This might be why the movie had to be redubbed (although, I don’t think there was much (if any) dialogue in these scenes). One scene (The Silly Song) is available on “Jiminy Cricket’s Christmas”. And I believe the “Heigh-Ho” Sing Along Song VHS use the original dub for the songs “Heigh-Ho” and “The Dwarfs’ Yodel Song”. Not released in theatres in Norway. Dubbed for 1997 VHS release. However, the three short movies (Honey Tree, Blustery Day, Tigger Too) were dubbed by NRK when they were shown on TV in the 1980s. None of these are available on home video. 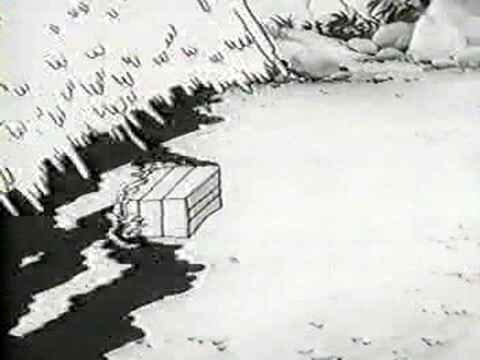 I have about half of Tigger from this dub. All three shorts are also available on VHS, but Tigger is the only one with Norwegian voices. I don’t know if they were dubbed on cinema, but I assume the VHS releases reflect their theatrical releases, and that Tigger is the only short that was dubbed. This dub is different from the NRK dub. All movies that were dubbed for their theatrical release after The Aristocats, has kept their original dub for all home video releases. The remaining True-Life Adventures has never been released on home video, afaik. But some of them (particularly the short subjects) were probably distributed on 16mm to schools. Also, many episodes of the Disneyland anthology series were shown on Norwegian TV during the 60s, with Norwegian dubbing/narration. None of these has been released on home video, but various episodes were distributed to schools on 16mm. I have a copy of two abbreviated episodes (“Man in flight” and “Our friend the atom”) that were sourced from these 16mm copies. The audio track probably still exist in NRK’s archives. Normally, what I’d do is align the two clips, do a quick crossfade between them, and crop the full scene. But, in this case, it looks like the wave has been reused. So, I’d try to copy the second wave, and erase Mickey from that shot instead. Nice. I’ll try to do some work on this later this week. I’m working on various Disneyland Anthology episodes myself (particularly the eight “From All of Us to All of You” Christmas episodes), and I hope to start a thread on these shortly. Anyway - the theatrical reviews for Song of the South does not mention Norwegian voices, which they would have done if the movie was dubbed. The VHS cover specifies Norwegian subtitles, which it would not have had if the audio track was Norwegian. The company that released Disney movies on VHS in the early 80’s would use the Norwegian track if it existed. But, they would not create a new Norwegian dub for releases that wasn’t already dubbed. In fact, several of their releases include the Swedish dub with Norwegian subtitles. Unfortunately, I don’t have the tape, so I can’t absolutely guarantee that it doesn’t have a Norwegian dub. But, I highly doubt it. So… If the movie was dubbed in Swedish, and the Swedish dub was released on VHS in Sweden, the Norwegian tape probably also used the Swedish dub. I will try to find out if the Swedish VHS has Swedish audio or not, and look for either the Norwegian or the Swedish tape if it does.